We are very pleased to announce that our match funding target has been reached! A huge thank you goes to everyone who donated. 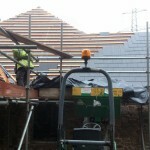 Your support has ensured we are ready to move with phase 2 as soon as the grant application comes through. A huge amount of both physical and organisational work is going on at the current time to ensure the railway is ready for the grand opening on October 24th/25th. There are technical issues that are delaying the GCR from being able to firm up the timetable for the event which means that online advance booking is still not available. Please don’t phone the GCR booking office for updates. 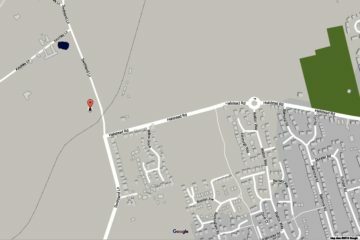 Keep an eye on this website and also the GCR website for further news of the event as soon as it becomes available. 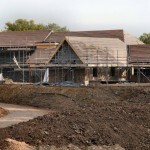 There has been much progress on the heritage centre building.The structural frame work of the building is complete. 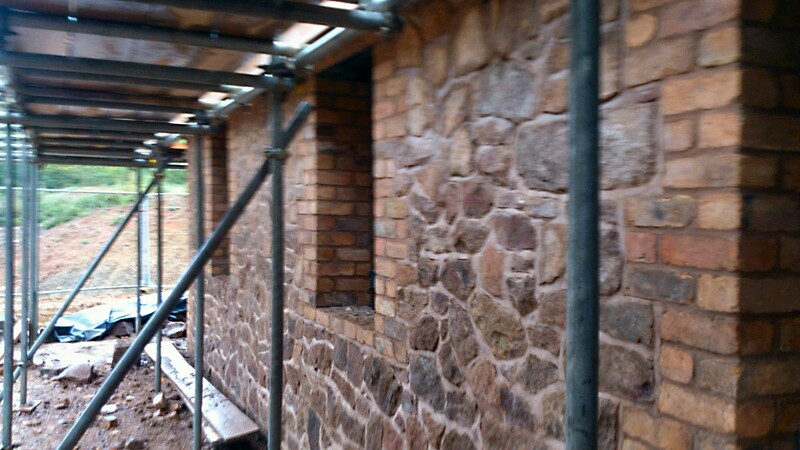 Stone work on the historic Time Office is almost complete with the stone work about to start on the relocated Kinchley Lane barn. 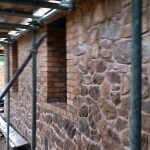 Each stone has been carefully cleaned by our volunteers and the bricks that form the window surrounds and corner quoins have also been recovered from the original buildings by the volunteers.The slates for the roof of the building are starting to go on and it is hoped that the building will be water tight in around 3 weeks time. 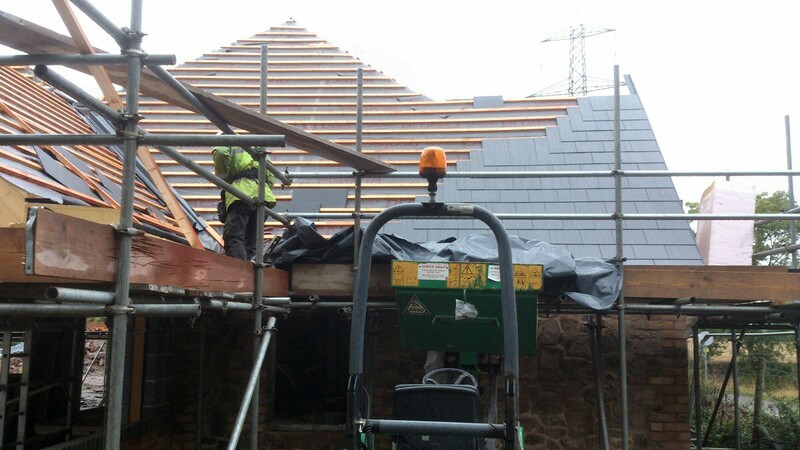 The three historic buildings are linked together with a new build section. The new bricks for this have been hand made in imperial size and each has individual characteristics so already look 120 years old. 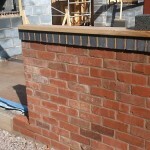 Whilst providing contrast with the old sections of the build, they really add to the heritage feel. Listen to a BBC Radio Leicester interview where presenter Ben Jackson talks to project leader Steve Cramp about the heritage centre. 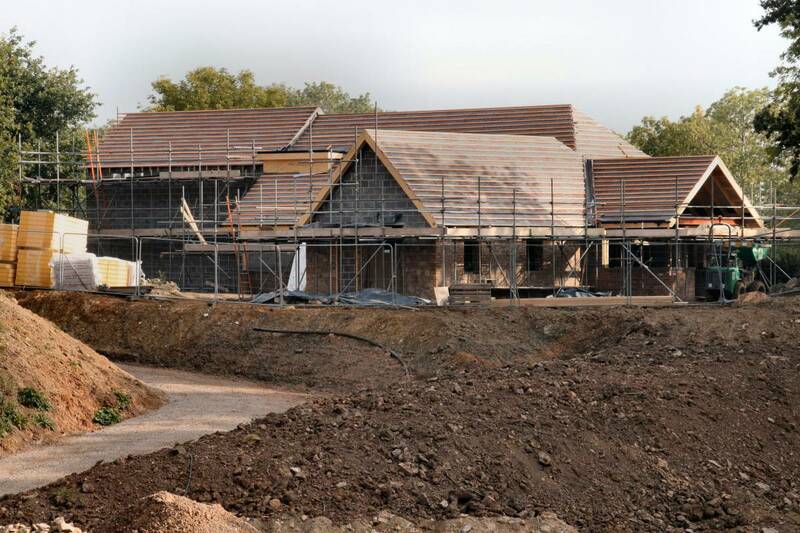 Progress has been good with the new Nunckley Hill Station as well. 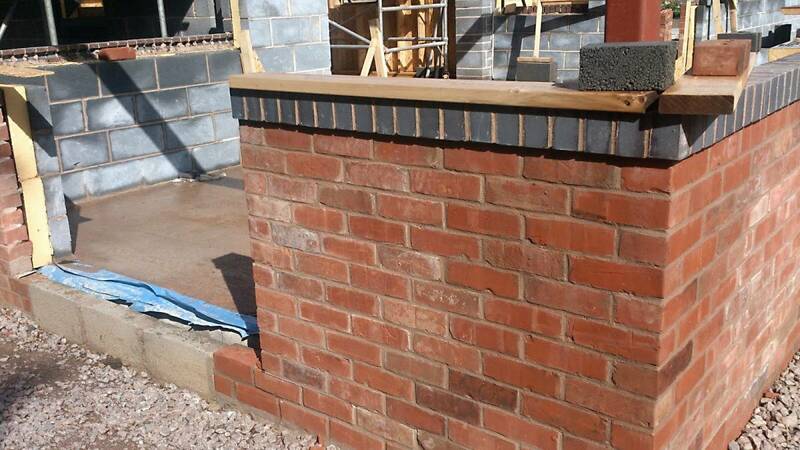 The block work is very nearly complete, including the disabled access ramp and access steps at the rear. The platform will shortly be filled and the surface applied. Behind the new station our project volunteers have installed two new points recently donated by British Celanese. These will feed into two sidings for the phase 2 museum building. 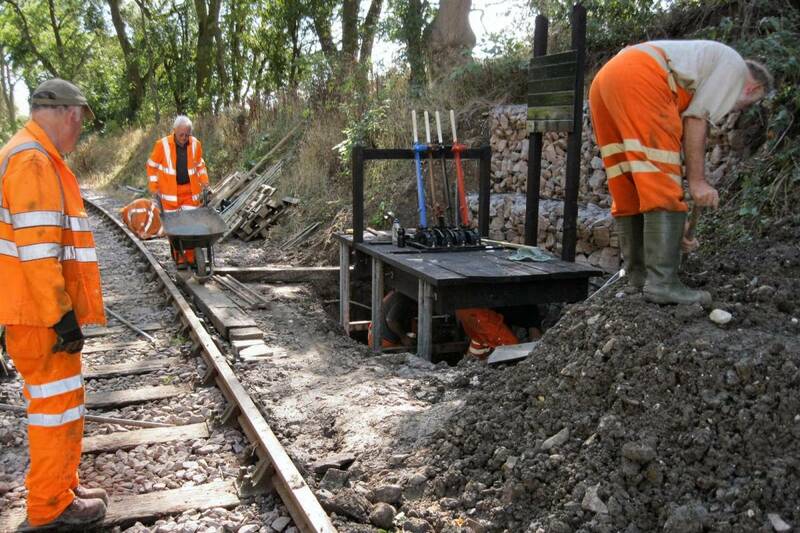 The GCR’s S&T volunteers have been working flat out to install the signalling and point operation for the branch line. 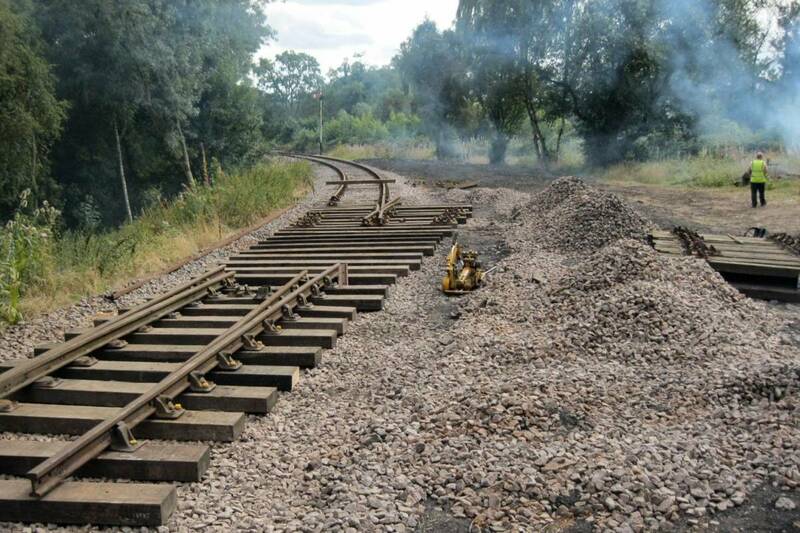 Two new LMS style ground frames have been built and installed at Nunckley Hill and near to the GCR junction. Installing the rodding work to connect everything up is a major undertaking and work will continue over the coming weeks. A very big thank you goes to the S&T volunteers for all their help with this! 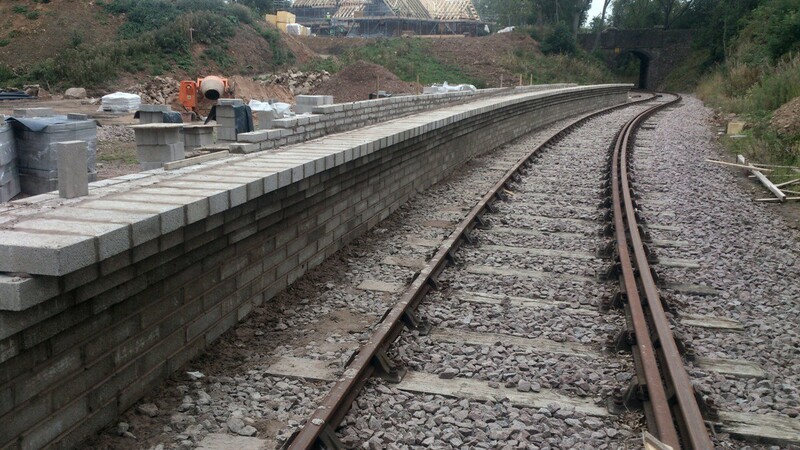 Mountsorrel Railway volunteers have been working to install the new sand drag siding at the GCR end of the line. This is an essential railway safety feature required to stop a train in the unlikely event of a runaway occurring and are quite common on the national network at junctions. 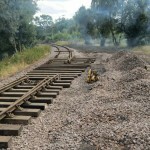 The point is complete and the connection to the ground frame is being undertaken by the GCR’s S&T volunteers. Our next task is to install the short siding leading into the sand drag which will be identical to the sand drag we built last February at the opposite end of the line. Our eco volunteers have been working to trim back the vegetation and hedges along the sides of the railway. This is an annual task that we have to undertake to maintain the line of site for the loco driver. 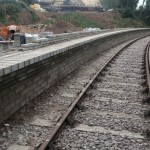 Cutting back 1.2 miles of cutting and embankment side is a major undertaking with only hand tools at our disposal. Never the less, Progress has reached the Swithland Lane bridge from the GCR junction and will progress to Bond Lane before the opening. Heartfelt thanks goes to all our volunteers. We need more help though to finish the last remaining tasks on the run up to the railway’s opening and then on the run up to the heritage centre opening next year. The work is physical but the sense of achievement is hugely rewarding. If you would like to get involved please get in touch via volunteer@heritage-centre.co.uk, we need your help!